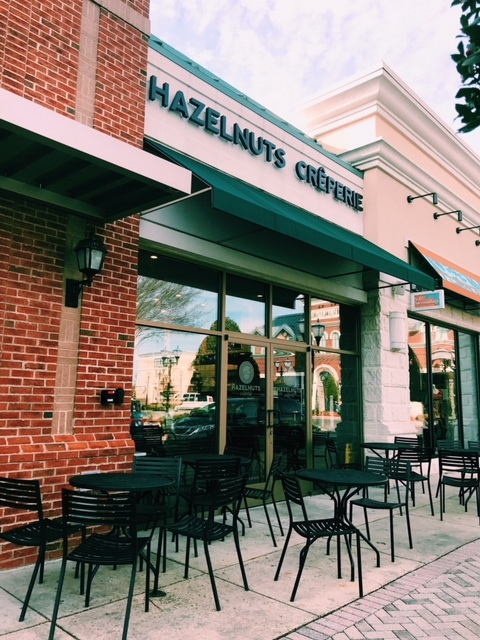 Smarty Pants Eats: Check out Hazelnuts Creperie! 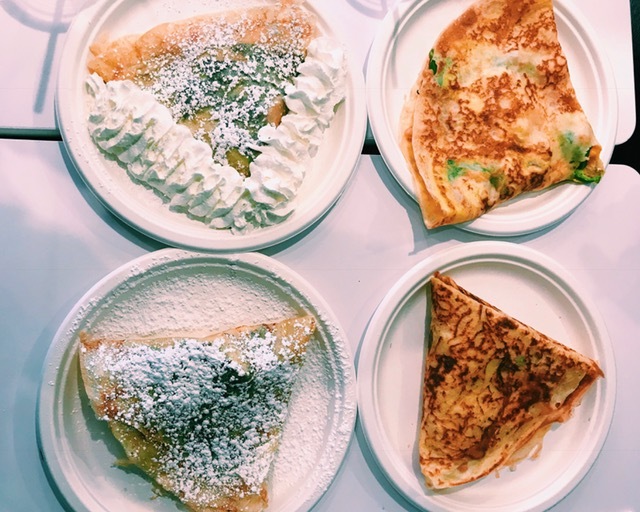 Home Food	Smarty Pants Eats: Check out Hazelnuts Creperie! One of our New Year’s rez’s at CSP is to check out more happening food spots for dining out with the kids, dining out without the kids (praise Jesus:-), and our favorite, gal pal lunch spots – because you know that’s where most of Charlotte’s biggest ideas get started! I can’t tell you how many times I just go blank when I need to think FAST of where I want to eat for lunch, or what’s the best take-out by neighborhood, or where should I go on a date night? Throughout the year, we’re going to compile a list of our favorites, and yours too, so please email us with your ideas! 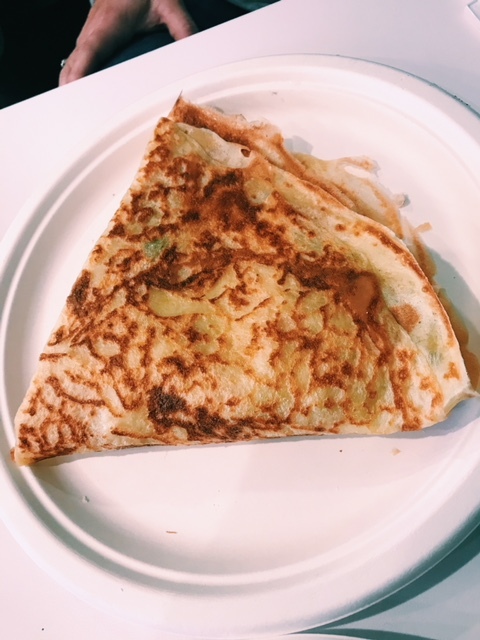 Today I’m talking about Hazelnuts Creperie – YUMMMMMM! 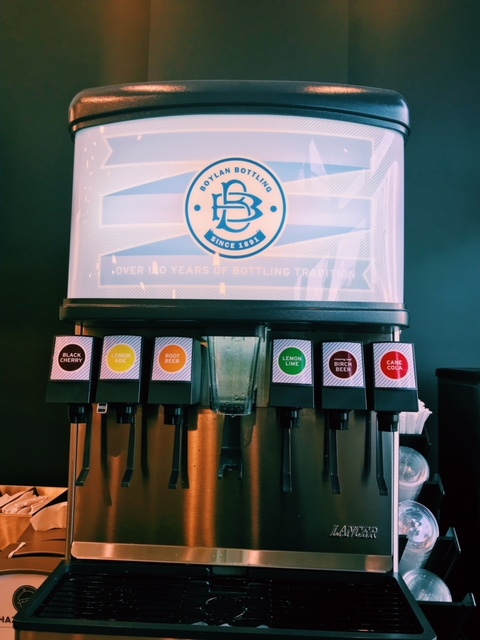 With three convenient locations across the QC – Blakeney Shopping Center, 7th Street Public Market and Uptown (200 S. Tryon) – they have a spot close to you. My girls and I went to Blakeney, their newest location and we loved it! 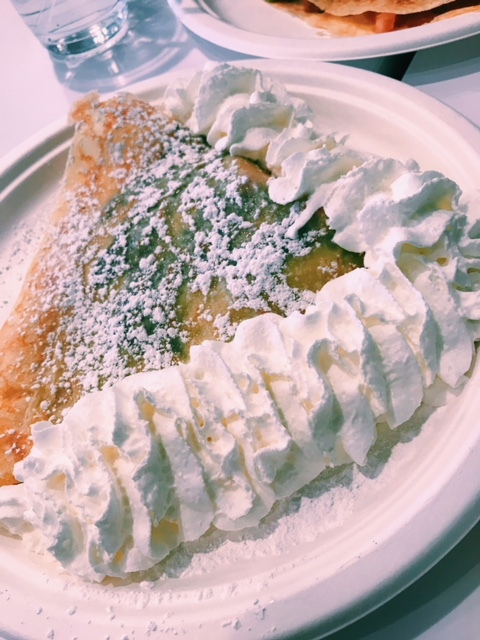 When I think of crepes, I think of dessert with lots of whipped cream, berries and such. I was pleasantly surprised to find that crepes are served for any meal, not just the sweet treats. 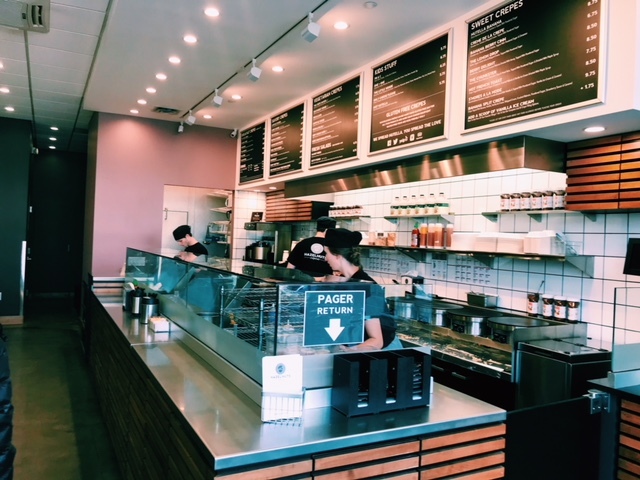 They have “Served all Day” options including the Americana that has Egg, Cheddar, Smoked Turkey, Avocado, Spinach, Tomato, Red Onion & Chipotle Aioli. There is also a “Savory” menu that boasts combinations like the Catalina with Chicken, Swiss Cheese, Mushrooms, Red Onion, Avocado & Jalapeño Cream. My girl’s FAVORITE is of course the “Sweet” Menu and includes sweet treats like the Nutella Banana with Sliced Banana Drizzled With Nutella & Topped With Powdered Sugar. 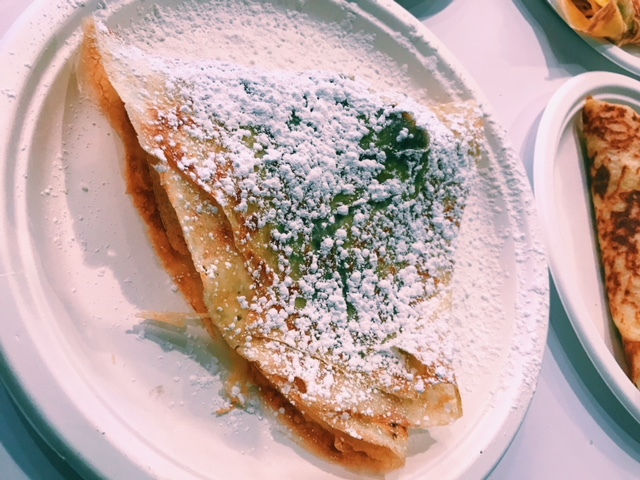 And the Creme de la Crepe with Strawberries, Nutella & Whipped Cream, Topped With Powdered Sugar. 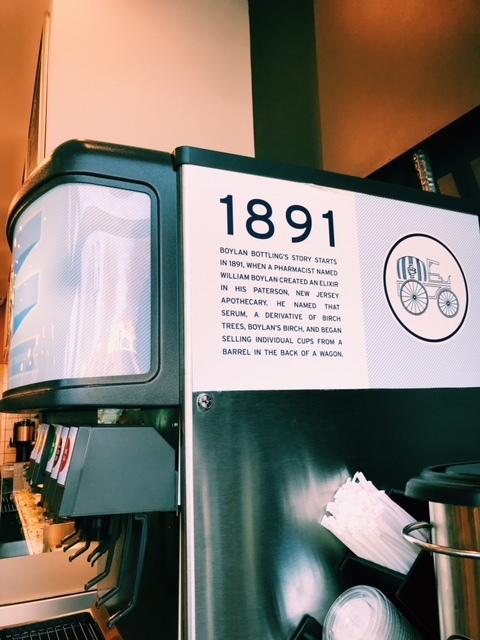 We also loved the Boylan Soda Fountain, such a great change from Coke & Diet Coke! All three of us basically licked our plates clean! 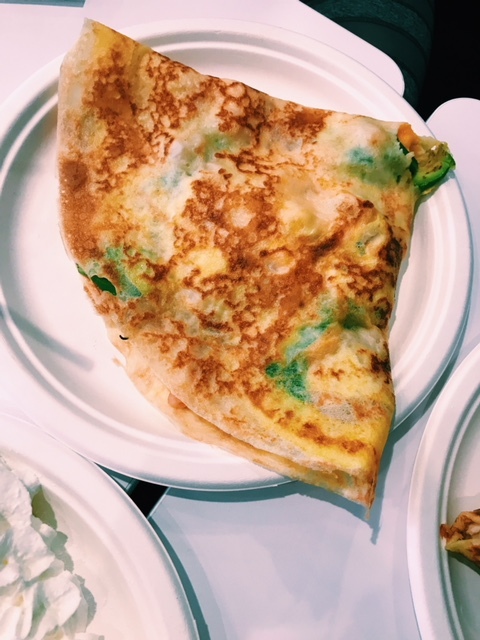 I think the price point is perfect with crepes ranging from $7-$10 and a Kids Menu with everything basically priced at $6. The crepes are super filling, so ideal for anyone in your fam for either a meal or a different sweet treat. CSP gives Hazelnuts a huge pink & green thumbs up!! Follow them on facebook & instagram – you’ll be hungry at first glance, DELISH! Who is ready to Lift. Tone. Burn. in 2018 at Pure Barre? Summer Bodies are made in the winter.